No images of Arise Solar Installations. Arise Solor are very knowledgeable and helpful with information about their product. Arise Solar quoted a very good price for a 6.6 Kw Solar power system with 24 panels. Ordered the solar power system on the 31 Jan 2019 for a new small house. Installation was scheduled for 15 Feb 2019, and after waiting another week for the Electric supplier to switch on the power feed, it is now running very good creating around 5.5 kw a day. The installer also asked for $150 to be paid after the installation in cash. I asked what for, and was told "To keep the switch board up to scratch". But the house and the switch board is brand new? Anyway, had to go to the ATM and get the $150 in cash or the installer would not leave. I asked for a Tax Invoice on the $150 and he said "OK", but never received it. Great action on installing the system and happy with the workmanship, but then my system is at a standstill, not Grid connected so I've had 5 months of a Solar System installed without being connected to the grid at all, so much lost power. Arise won't answer any emails or messages now, so they're a dead end. Beware of this area and I would recommend not paying them in full until everything is completed and your system is grid connected. Frustrating as anything and completely unprofessional to say the least when they get full payment and then wipe their hands of any further duties. Arise Solar has been terrible to say the least in not completing the job once I have paid for it in full = They will not respond or answer any emails from myself or any emails that PowerShop has been sending them questioning any action they can do to complete the job. The installation was quick and the boys were polite and friendly and answered any questions we had. After a bit of a mix up on how we were paying the account, Tim Brown and Abhi were very helpful, kind and understanding and the problem was resolved quickly. Very competitive quote it was really nice dealing with Mr Jeff Matthews- fantastic sales person. The installation team too were very good and explained anything asked very well. So far service has been good, coming at arranged times, work is neat and tidy but I am not an electrician. Poor communication with sales people. I was very happy with Jeff from Adapt Energy (one of your quotes). 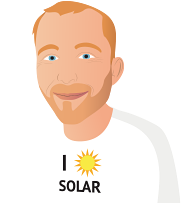 He was very helpful, good products and around the same price as Arise Solar were slightly cheaper and happy to give me a price on the products I selected. The sales person from Replenishable Energy (your second contact) came to my house, said it would be a week or so before he could supply a quote as his boss, Rollo was in China. However, he never supplied a quote. In his discussions he seemed to be more expensive than most of the competition, so I was not worried and didn't follow up. After quite a bit of research, I worked out what products I wanted to install. I went with Arise Solar, not only were they the cheapest they were willing to quote on what I wanted. They used a reputable local installer, who did a very good job. I have pressed metal tiled roof and they were aware of how to do the job. My observation is that most people want to sell what they have sourced cheap.